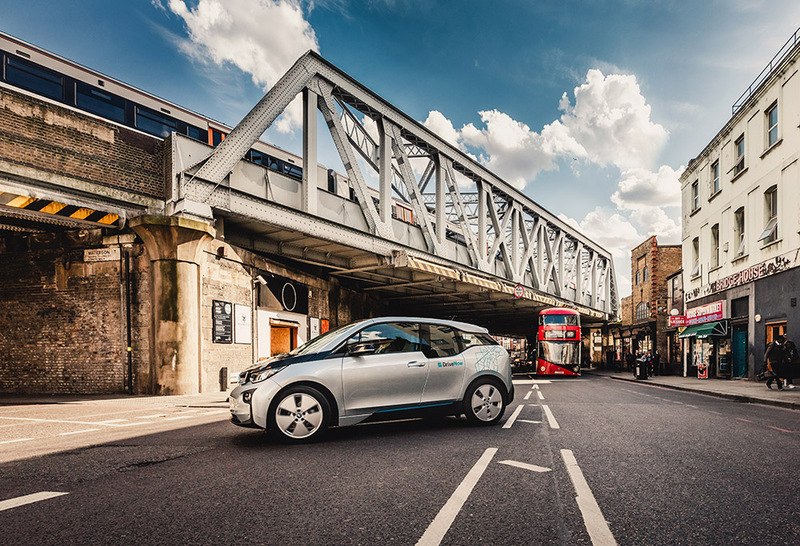 Drive your favourite BMW and MINI in London! London is just over 2 hours away from Brussels by train. There is always something to see and do in London. With some of the world’s best art, entertainment, shopping, dining, and history, it’s impossible to be bored. Whether you’re simply in the mood for fish & chips, shopping at Camden’s market, or have lunch in Greenwich village, you can quickly get there with Eurostar, and even drive your favourite BMW or MINI in London while you’re there! Ready for your English adventure? 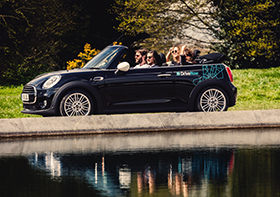 We’ve listed for you great places that you could visit out of the beaten track, whether by walking your way through on a sunny day or taking a DriveNow to get around town in style. Victoria Park is one of London’s favourite open spaces. In the summer it’s often taken over by festivals. And if you get thirsty after walking around so much, head to the Pavilion Café where you can grab a bite before going back in the splendour of this park. Don’t miss out Alexandra Palace, aka Ally Pally, a multi-use historical landmark which combines pubs, restaurants, a large entertainment venue and ice rink open all-year round, all in one beautiful location. Looking for culture, food and fun all in one place? Then Shoreditch and Boxpark are definitely the place to be as it combines all three. Sit down in velvet seats while watching mainstream and indie films at the Electric Cinema, bargain your way through the old Spitalfields market, grab a bite at Pizza East, McQueen or the Boundary. If thirst is what brings you here, sip your coffee in the Bookclub café while reading your favourite book, or have a cocktail in Shoreditch Grind or Cargo. For the party animals out there, you can even party until the wee hours at Concrete Club. Perhaps you’re in London to shop till you drop and choice is what you want? Then head to the Westfield Stratford City, the third largest shopping centre in the UK with over 250 shops and 65 restaurants. And the best part, you can park your DriveNow for free on Level 3 in the Stratford International Car Park! The famous Camden Passage is a picturesque pedestrian street filled with antique, vintage and contemporary shops, outdoor markets, cafes, restaurants & bars. What’s not to like? Arguably one of London’s hippest market, Broadway market welcomes around 135 stalls selling a fabulous array of fresh produce, vintage clothes, flowers, coffee, books and groceries. There’s also plenty of delectable street food, including Deeney’s toasted sandwiches, Fin and Founder’s crab-cake burgers, Floris Bakery’s chocolate eclairs and the modern cult classic Yorkshire Burrito. You’ll find everything at Kingsland Road – from fried chicken shops, dodgy looking electronics stores or car-part outlets to cool bars, café or little boutiques. Kingsland might not be the prettiest road in London, but if you’re looking for exciting things to do, eat, see and buy, it could quickly become your new favourite spot in London. Ever dreamed of playing in ball pit like when you were a kid? Well your dream has come to reality! London opened a ball pit cocktail bar with one million balls, retro sweet cocktails and great food. Ballie Ballerson is the ultimate adult playground to get loose! For all the green thumbs out there - On Sunday, Columbia road is transformed into an oasis of vegetation and flowers. Everything from bedding plants to 10 foot banana trees are up for grabs.